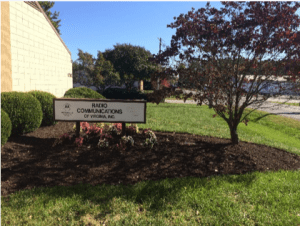 Radio Communications of Virginia (RCV) began as a two-way radio service and installation shop in Richmond, VA, in 1954. Today, we have expanded to two locations around the Metro-Richmond area and continue to be Virginia’s leading provider in wireless communication solutions for over 60 years. As a Motorola Solutions Elite Channel Partner, we provide the Virginia area access to Motorola’s full-featured portfolio that comprises of both Public Safety and Commercial tier solutions. In addition, we have partnered with numerous other manufacturers to provide solutions in many other facets of the wireless telecommunication world. Our team has over 100 years of combined experience to make sure each of our clients are taken care of from the moment they walk through our doors. With our locations in Glen Allen, VA and North Chesterfield, VA, our two convenient locations can serve our customers’ needs on both sides of the James River! To be the best at understanding and identifying our customers’ needs and provide the most effective solution to meet or exceed their goals. As a privately owned company, we believe in a family-oriented workplace that emphases on teamwork and commitment, not only for our employees, but for our customers as well! The everyday bonds formed through daily teamwork improve and inspire our employees to perform at their highest levels and maintain a healthy company mindset. The years of service our employees maintain are not solely earned based on job necessity, but by our commitment to uphold our values. We are committed to our employees, and in turn, our employees are committed to providing the best possible service to our customers. At RCV, we hold ourselves to the highest standards to provide the best service to our customers. We realize that our customers have the option of who they do business with, and we will continually strive to earn and maintain their loyalty each and every day!